The average roof sheds 160 gallons of rainwater per hour during a moderate rain fall. 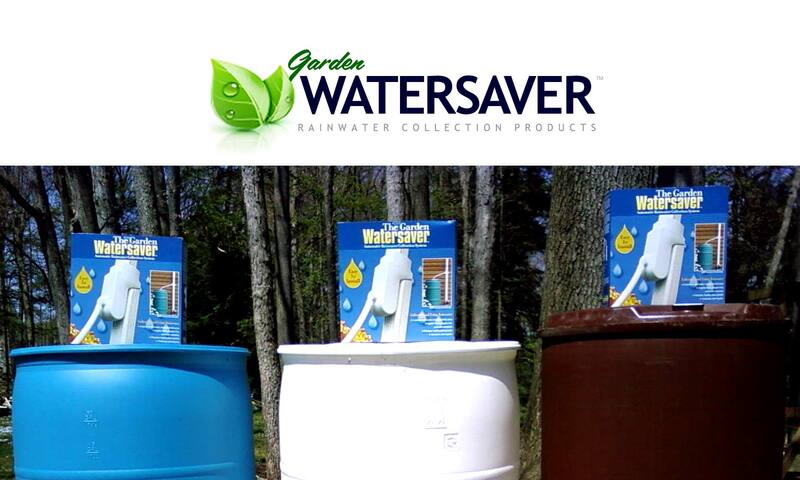 The Garden Watersaver is designed to capture as much of this rainwater as you desire, depending completely upon the number of downspouts you want to tie into and the number of barrels you link to those downspouts. Rainwater flows from the roof into the gutter, then into the gutter’s downspout. 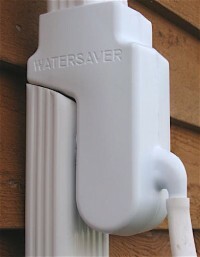 The Garden Watersaver Diverter is installed into a downspout (A). Rainwater gets captured in the Watersaver’s reservoir. 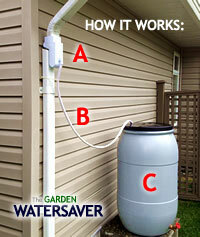 When the reservoir fills, the water takes the path of least resistance, which is the unit’s lower exit spout and a hose (B) that leads to the rain barrel (C). The rainwater will take this path until the barrel is full (unless there are multiple rain barrels connected together!). As soon as the barrel is full, back-pressure occurs and the water stops flowing into lower exit spout and hose. The rainwater then exits out of the upper spout, back into the downspout and out to the home’s standard drainage system. For full back-pressuring to occur, it is best to used a fully-sealed rain barrel. When installed properly, the Garden Watersaver will fill a 55-gallon rain barrel in 2 to 3 hours during a moderate rainfall! Also, the kit’s 5-foot hose allows the rain barrel to be moved away from the downspout and the building; the barrel can then be placed in a low visibility area — or even inside a shed or basement for no visibility!